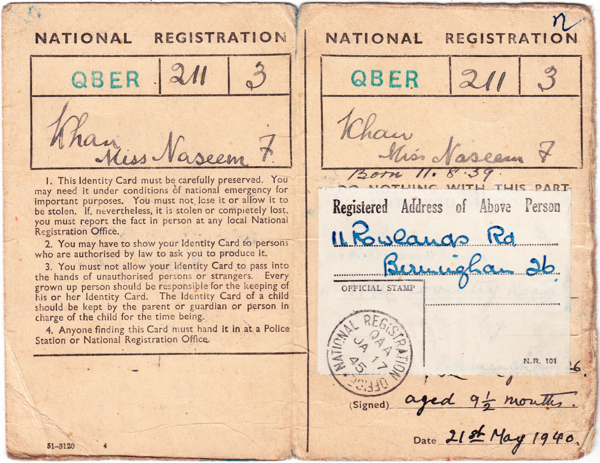 Today we pay tribute to Naseem Khan OBE who died yesterday at the age of seventy-eight. 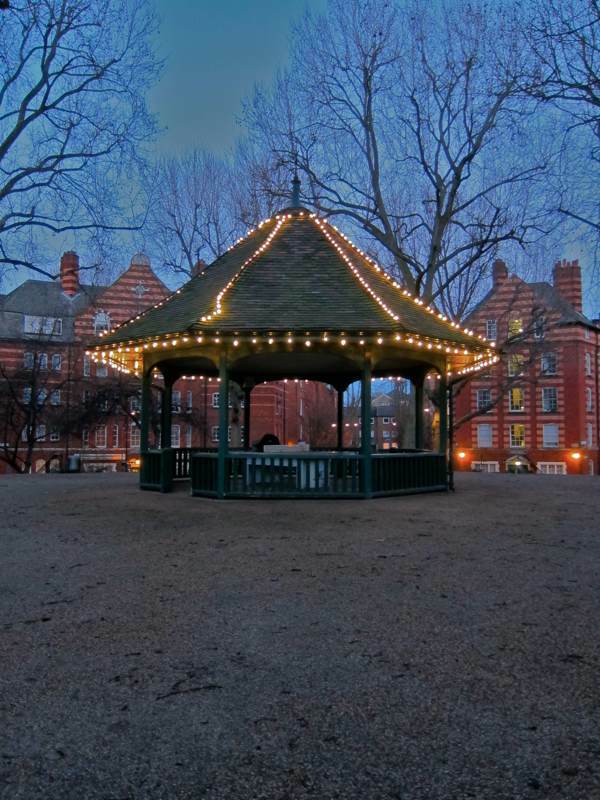 Naseem will be long remembered in the East End for her stirling work as Chair of the Friends of Arnold Circus, masterminding the restoration of the park and bandstand on the Boundary Estate in Shoreditch. 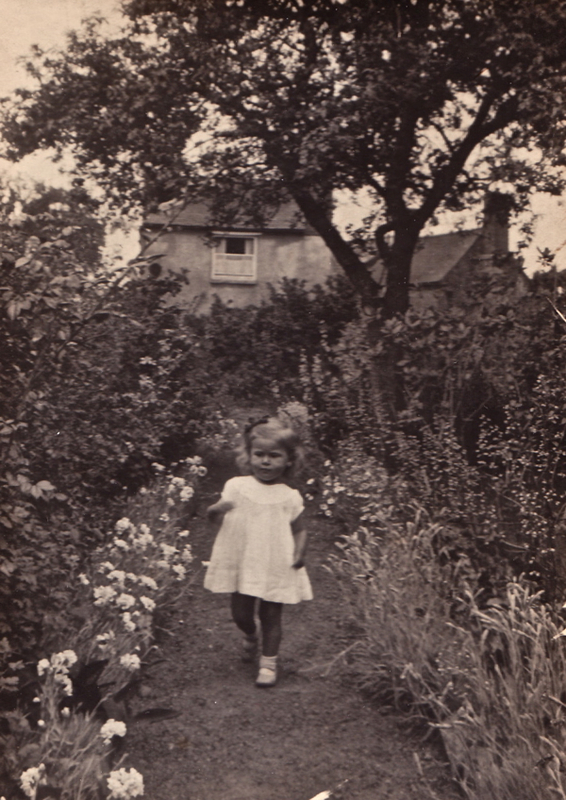 Behind this lyrical, quintessentially English image of a little girl surrounded by carnations in a cottage garden in Worcestershire lies an unexpected story – because this is a photogaph of Naseem Khan whose father was Indian and mother was German. 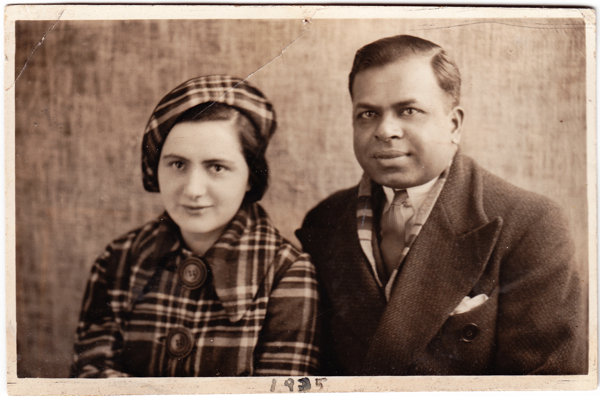 They met in London and married in 1935, and Naseem was born in 1939. 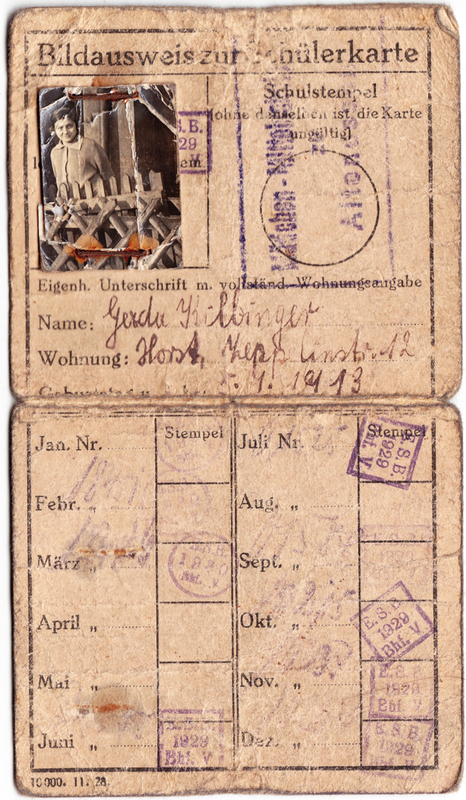 When the war came they could not return either to India, which was in the early throes of partition, or Germany which was under the control of Adolf Hitler, so they went to live in rural Worcestershire for the duration where Naseem’s mother was able to maintain a discreet profile, concealing her true nationality and passing as French. These were the uneasy circumstances of Naseem’s origin yet they granted her a unique vision of society which informed her life’s work in all kinds of creative ways – including becoming Head of Diversity at the Arts Council and subsequently Chair of the Friends of Arnold Circus, the group responsible for the rescue and sympathetic renovation of the neglected park and bandstand at the centre of the Boundary Estate. Naseem’s father, Abdul Wasi Khan was a doctor from Seoni, the eldest of ten in a struggling family who won an award from a foundation in Hyderabad to study in London where he completed a further three degrees, qualifying as the highest level of surgeon. 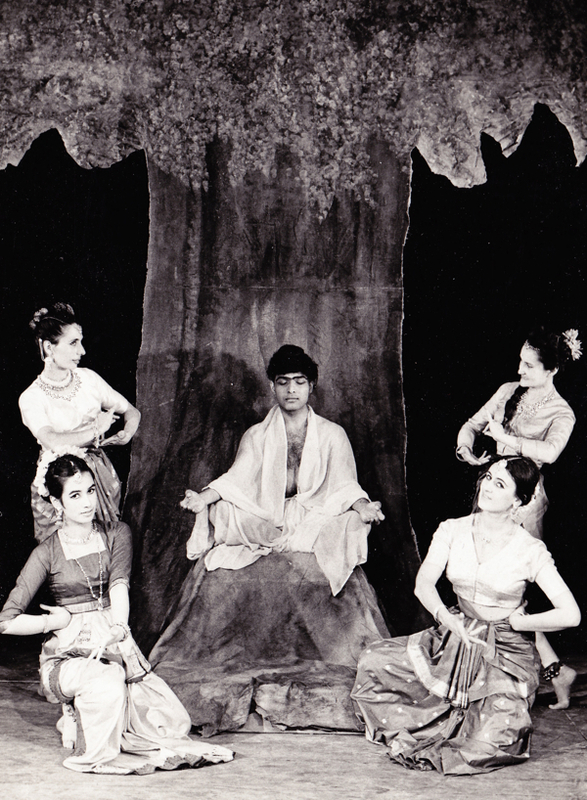 Yet, as an Indian, discrimination prevented him practicing his expertise in this country at that time. Naseem’s mother, Gerda Kilbinger came to study English at a college in London and her best friend at the language school was dating an Indian doctor who was reportedly “so handsome, so smart.” However, when Gerda finally met this paragon who was to be her future husband she exclaimed “Ach, is that what the fuss is all about?” Gerda may have been initially unimpressed by Wasi’s diminutive stature, which matched her own, yet it was only the first of his qualities that she noticed, drawing them together them as a from couple from the margins in British society. 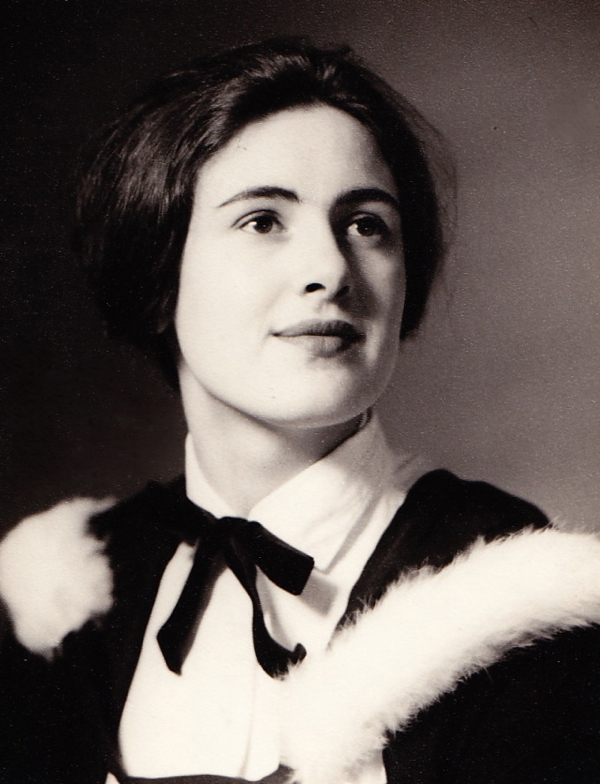 Blessed with a modest temperament and sharp intelligence, Naseem graduated from Lady Margaret Hall, Oxford and pursued a wide-ranging career as a journalist. She was among those who launched Notting Hill’s black newspaper The Hustler before becoming theatre editor at Time Out when the new experimental theatre erupted in Britain. Invited by the Arts Council to research aspects of immigrant culture, she left her job to write a report entitled The Arts Britain Ignores, a re-examination of what was considered as legitimate English culture which became a cornerstone of policy and led to a further career for Naseem at the Arts Council. “It was an important period of recognition of difference, striving to find a world in which all sides are possible, contained and honoured,” admitted Naseem in quiet reflection. Naseem’s work contributed to a new sense of self respect and pride in the neighbourhood for the residents of the Boundary Estate. 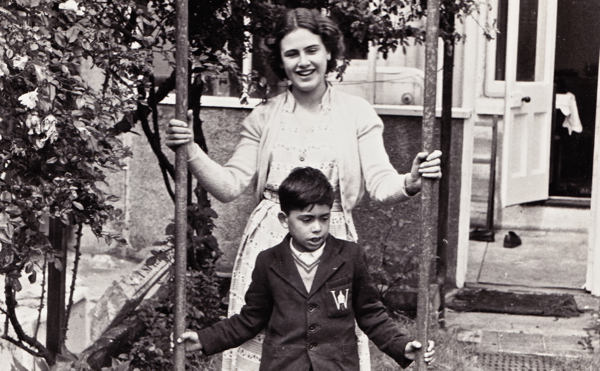 In this sense, Naseem Khan’s work in the East End was both a culmination of her personal journey, informed by her parents’ experiences, while also re-igniting the ethos of Sir Arthur Arnold who built the Estate. 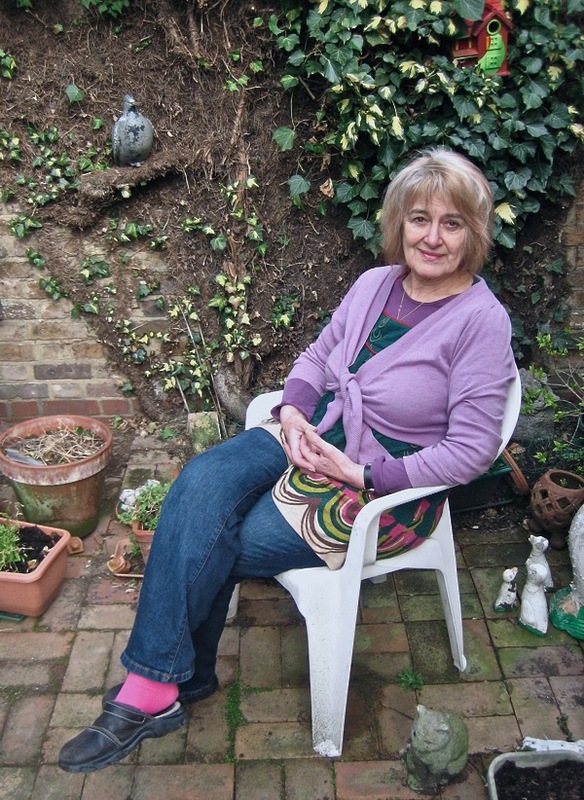 She will be remembered as a notable figure in the authentic and radical tradition of social campaigners who have brought about real change for the people of the East End. Yet Naseem’s estimate of her achievement was simpler. “When you live a long time, you do a lot of things.” she assured me with a grin of self-effacing levity. 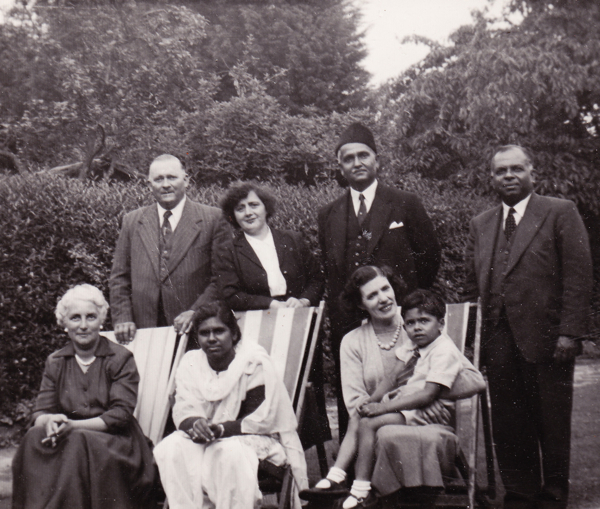 Naseem’s family and neighbours in Worcestershire in 1951. 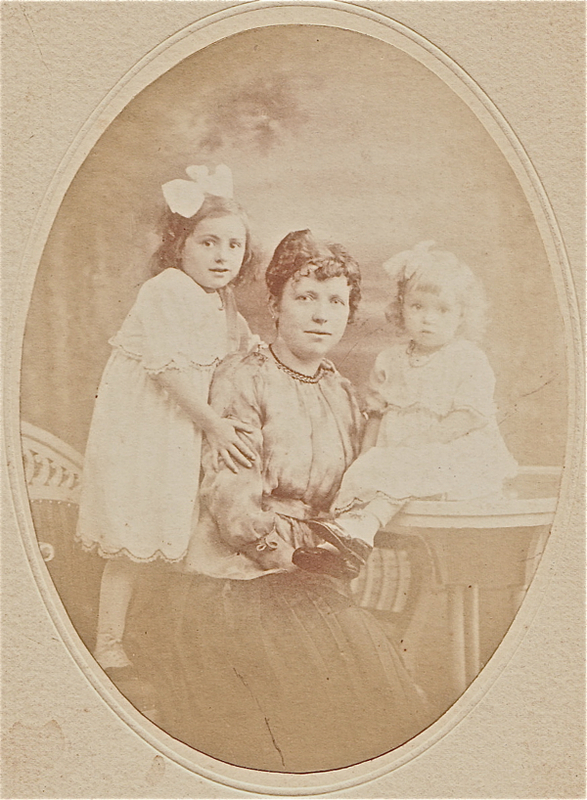 Her mother Gerda stands in the centre with her father Wasi on the far right and her Uncle Mujtaba standing between them. Sitting in the centre is Naseem’s half-sister Shamim. 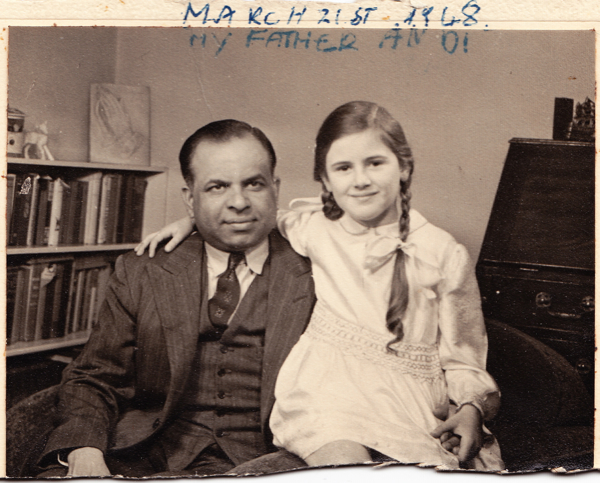 Standing on the far left is Harold Tolly, the baker, with his wife Myfanwy, the midwife, seated on the right holding Anwar on her lap. GA! Naseem is my hero on this day, she is a Khan a high status name around the world and is a worthy recipient of the OBE for her charity work regarding Circus & East Enders. I liked the tender photo of Naseem on her ‘daddies’ lap she was so proud just a twinkle and half smile enough said. This dynamic lady lived two lives worth of work entwined into her 78 years. The last photo of her tells us all she is happy & contented. In a way she is saying good bye I did my best. Poet John PS – the name Naseem can mean fresh air a breeze that was certainly her. Oh no. I knew her well latterly as we were writing our memoirs together and we were both mixed race. Also we both shared a diagnosis of terminal cancer. I’m so sad I’ve lost a supportive friendship. Mrs Naseem Khan OBE (1939-2017) — R.I.P. 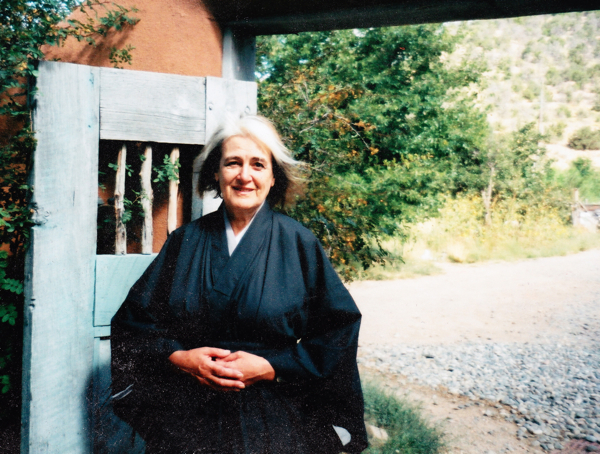 To me she was Myoji, having been given this name when she took lay ordination in the Zen Buddhist tradition. She was a remarkable woman and it was a delight to have known her and enjoyed her friendship. She lived a full and rich life, helping change others lives for the better in a number of ways. She will be sorely missed by many. This is just wonderful and so moving. I knew Naseem as a theatre critic colleague. I was often in awe of her commitment to human rights, her activism, her quiet authority. A lovely, lovely human being. RIP Naseem. This is incredibly sad. What a truly wonderful tribute to a very inspirational woman. Thank you for this piece GA. My thoughts go to her family and everyone she had made a difference to in her life. Dear Naseem – a considerate colleague, wise, gentle, and a thoughtful friend: she went first in researching black arts, we stood together as consultants on diversity, she had my back when publishing only last summer. RIP. Thank you for this wonderful post, moving and so touching. I am so grateful to Nassem. She supported the work of The Company of Storytellers (me, Ben Haggarty, Hugh Lupton). She generously came to see us, wrote about us and storytelling, giving it value and writing some quotes that helped us so much at the start of our careers. Meeting her several times, I was totally in awe of her sharp mind, her wide perspecive, her vast references. I once went to visit her in Hampstead in the early 1980′s, drinking in her tales of travel, culture, religion, felt like a source of life. Thankyou Naseem.